The official opening of the majority of ski resorts in the PO is usually around the first weekend of December, the 6th being Le Saint Nicholas and the 8th being l’Immaculée Conception , both of which are festival days and bank holidays in Spain. Over that weekend, the Spanish often ‘font le pont’ – make a long weekend of it – and the ski season gets off to a festive beginning. 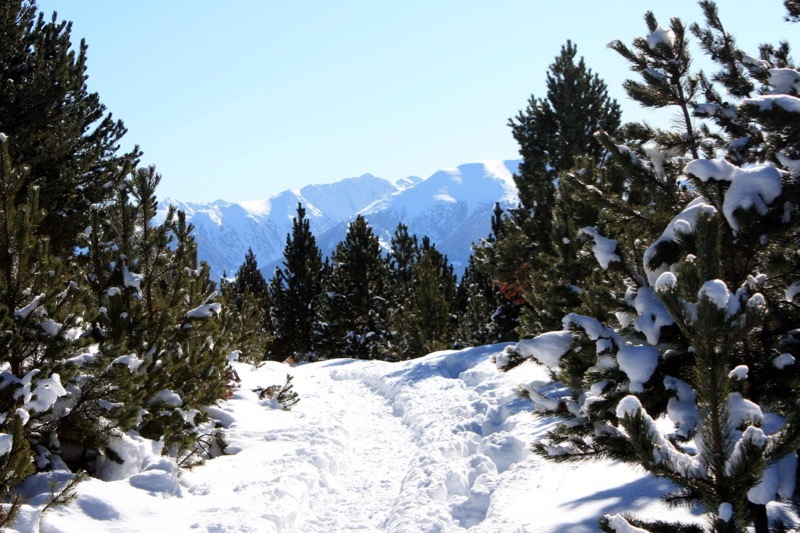 The’ Neiges Catalanes‘, is a network of *nine stations all within easy reach of Perpignan (90 minute drive) and centred on cFONT ROMEU, CENTRE OF EXCELLENCE One single ski pass will allow you access to all. After a day on the slopes, why not visit Les Bains de Saint Thomas, hot spring-water spa baths at where you can lay in the hot waters surrounded by snow looking out over the Cerdagne Plateau into Spain? 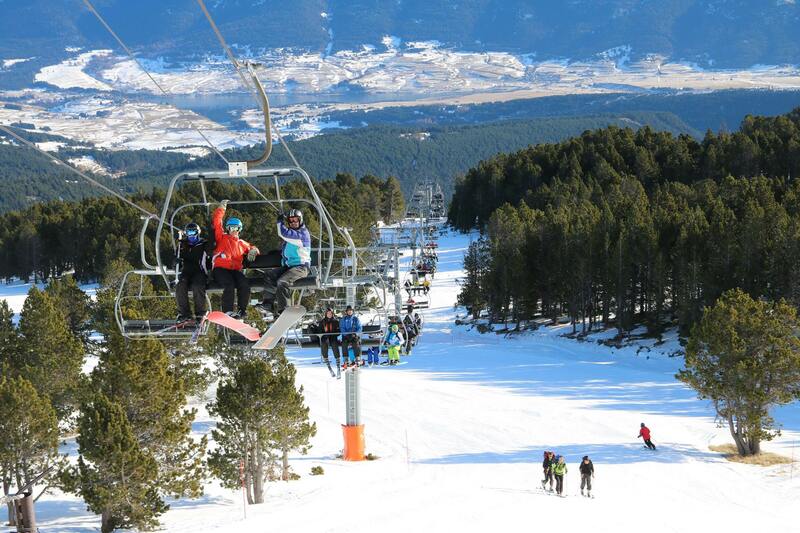 Developed as a ski resort as early as 1921, the linked ski area of Font-Romeu and Pyrenees 2000 is the largest artificially snow covered ski-area in Europe with 40 ski runs to suit all levels (downhill and cross-country skiing), 52km of pistes, 80km of slopes for cross-country skiers and the biggest snow making machine in the Pyrenees. Originally nothing but a small cluster of chalets, Font Romeu flourished as a result of the arrival of the Petit Train Jaune in 1908, followed in 1911 by the building of the fashionable and luxurious Grand hotel, frequented by royalty and the rich and famous from all over the world during the 1920s and 30s. Worth visiting amongst other things, is the Chapelle de l’Ermitage built in the 17th century on the site of a fountain (hence the name Font Romeu – the pilgrim’s fountain) and Le Grand Hotel itself. 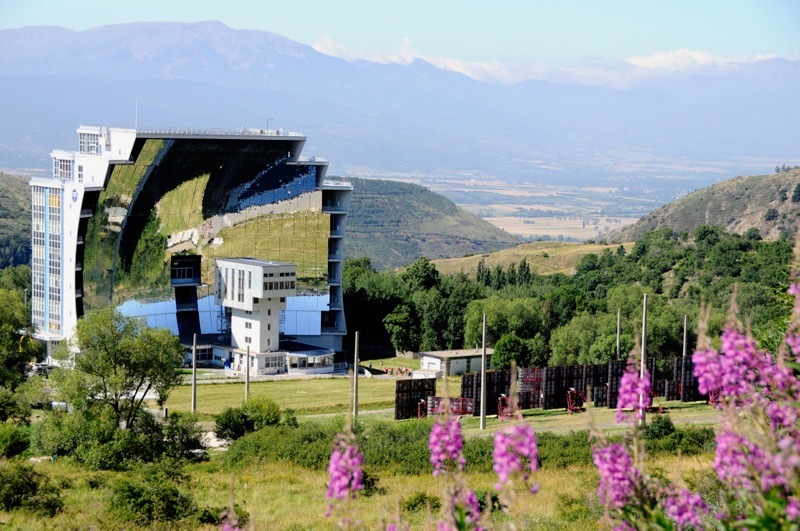 Also in this area is the Four Solaire d’Odeillo, the biggest solar furnace in the world, so if you see any strange constructions in the country side, don’t worry – the aliens haven’t landed yet! There are also numerous superb marked hiking trails taking in some fantastic countryside to explore. Follow the trail through the forest from Font Romeu to the pretty village of Egat, a thirty minute walk culminating in views to take your breath away. Possible whatever the weather thanks to a battery of snow canons, there is a great snow park and downhill and cross country pistes catering for all levels in the only resort in the Pyrenees where the ski slopes descend through the pine forests into the old village itself. If skiing’s not your thing, why not visit the ‘parc animalier des Angles’, Children will love it. The animals live in very large enclosures and the visit takes about 1h30. You can see wolves, bison, marmots, bear, elk, reindeer, mountain goats and many other animals that you would not normally see in a zoo. The pretty little village of Formiguères, historic Capital of the Capcir, lies in the heart of the Parc Naturel, Five kms north of Les Angles on the D118. Situated in the Cerdagne area of the Pyrénées Orientales, in ‘la vallée du Carol’ Porté Puymorens is just a fifteen minute drive from Pas de la Case, tax free ‘haven’ and purpose built border town between France and Andorra. There is ample skiing for beginners and intermediates with a vast snow park 600m long with tables, slide etc and a half pipe 100m long for the snow boarders. Porté is very much a ‘one hoss’ village, with limited accommodation and facilities although there is everything you need for a good day’s skiing. *Bolquère, Pyrénées 2000, Cambre d’Aze, Cerdagne Puigmal, Font Romeu, Formiguères, La Quillane, Porté Puymorens and Puyvalador. Dont forget your snow chains or snow tyres. The ‘gendarmes’ will prevent you from continuing and very likely fine you if you do not have suitable security for the snow. If you have snow chains, put them on as soon as you see the signs.